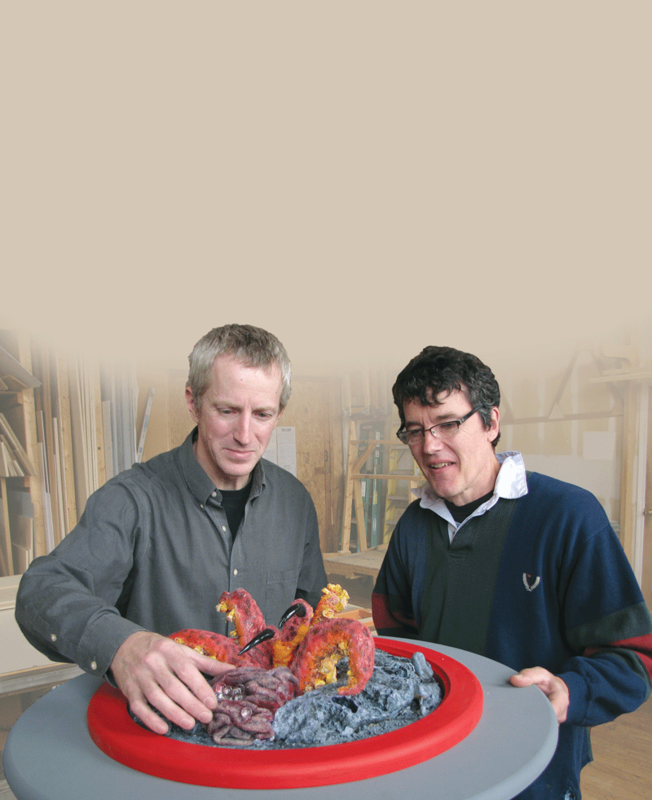 Todd Harris, left, and Jack Kacian look over one of 42 design fab’s many creations, this one an ‘alien life form’ for the company’s booth at a trade show. It’s called the “walk-in tree,” and that name pretty much explains what this exhibit would be. The Barnes Center hasn’t created the walk-in tree yet — it is still exploring funding options for this and many other items in the plan — but it has contracted with 42 design fab, the company Harris started with model builder Jack Kacian (formerly with the Holbek Group), on several other projects, from outdoor signage shaped like a broken tree to the gift shop. 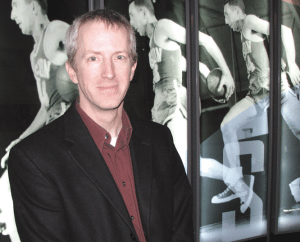 And these items have become part of a growing portfolio that includes everything from displays for the Basketball Hall of Fame (such as the ‘vertical leap’ exhibit and a tribute to Bob Cousy) to trade show booths for Fortune 500 companies. Expanding and diversifying that portfolio are the top priorities for Harris and Kacian as they look to take this unique design-and-fabrication company — hence the name — they started together in 2010 to the next level. And to do so, they’ll attempt to maximize their own talents and those of the six other team members now working in a large space on the fourth floor of the Indian Orchard Mills. Harris, who was a CAD program instructor at Holyoke Community College years ago, has extensive background in strategic planning and project management, working as an independent consultant for nearly two decades on everything from SAP implementation to a large Y2K initiative, to the building of a few chemical plants in Saudi Arabia. Kacian, meanwhile, is an artist and designer who has been involved in several signature projects in the area, including the so-called Money Tree in Greenfield — an ATM built into a 25-foot-high artificial tree that was designed and fabricated by the Holbek Group for Greenfield Savings Bank — and the model of a GeeBee airplane, built in Springfield in the late ’40s, that now sits in the Springfield History Museum after residing for years in the Visitors Center near the Hall of Fame. 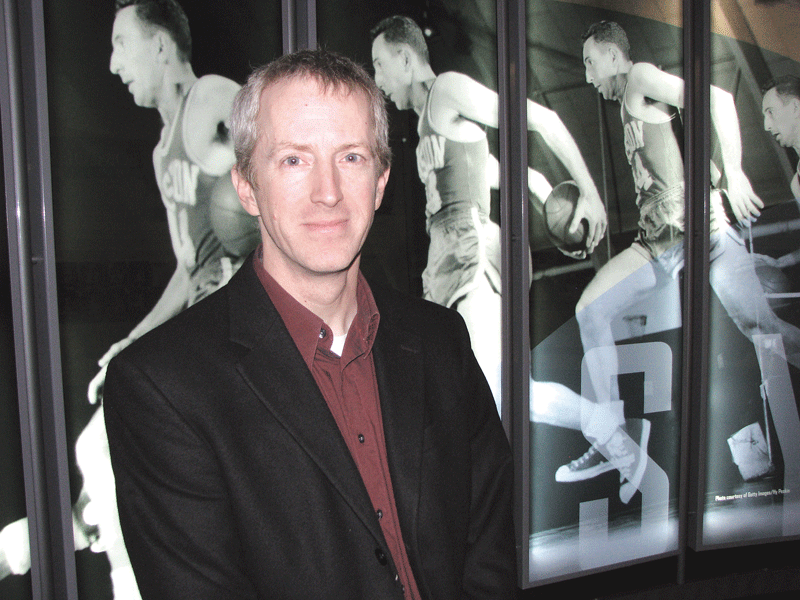 Todd Harris stands beside one of the many exhibits 42 design fab has created for the Basketball Hall of Fame. Together, the two partners look to shape a winning business strategy grounded in finding solutions for clients and creating new and different ways to convert their imagination and skills into reliable revenue streams. For this issue, BusinessWest goes behind the scenes — both literally and figuratively — at a company that certainly has designs on continued growth and an international reputation for imaginative solutions. As he talked about some of the work 42 design fab has done for natural-history museums and facilities like the Barnes Center, Harris went over to a bookcase filled with some of the sculpted flora and fauna that have become part of various dioramas and exhibits. There’s a giant slug that’s much larger than what actually appears in nature, a centipede (again, much larger than real life), the top half of a chipmunk (this one was coming up out of the ground), and a large eel built for the Shelter Island Nature Conservancy on Long Island, which went to great lengths to make sure the item was anatomically correct. “They actually brought up a dead eel and said, ‘we want it to look just like this,’” said Harris, adding that the company was able to comply with that request, which is one of the keys to earning the repeat business and referrals that are the lifeblood of the business. 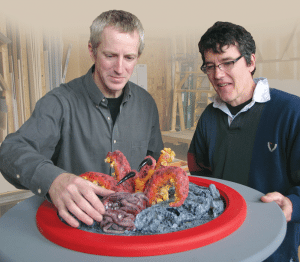 How Harris and Kacian joined together to design and fabricate eels, insects, trees, and Hall of Fame exhibits in this business venture is an intriguing story that blends elements of entrepreneurship, timing, and market opportunities. Harris told BusinessWest that he enjoyed his consulting work, but certainly not the long hours and time away from home that his assignments demanded. “It was tough being a road warrior … you lose a bit of yourself with every job,” he explained, adding that, on the positive side, his consulting work introduced him to what he called “the museum world,” largely through work with Tor Holbek, an exhibit designer and former student of his at HCC who eventually started the Holbek Group and hired Kacian as his art director. “Over the years, as a consultant, designer, and engineer, when I was between other gigs, I would stop and stay in touch with Tor,” said Harris. “I’d help him out with design projects here and there. It was interesting work — you never think about where things come from in a museum, but someone has to design and build them. “Museum work fascinated me, and I got to know Jack over the years … and one thing just led to another,” he continued, fast-forwarding through some intervening years during which he worked on some project-management initiatives at museums and art galleries, and became increasingly drawn to that little-understood business. What propelled him forward, despite those challenges, was that aforementioned fascination he had with the museum realm, as well as confidence that he and Kacian, with whom he had worked on several projects, and who had by then won acclaim nationally for his model-building exploits, could mold an effective business model. The Money Tree project in Greenfield helped shape Kacian’s reputation — it earned headlines in many different kinds of publications — as did the GeeBee initiative, undertaken by the city of Springfield. Kacian remembers working on a shoestring budget and stretching his imagination to make the model as authentic as possible while also controlling cost. “That was a great job for me because it involved something I was really interested in,” he explained, adding that he did extensive research on the plane, which included a few trips to the attic of the widow of the man who built the original plans and blueprints. “The challenge was to build it as realistic as possible, and I used every trick in the book I could think of to fabricate it. Eventually, Harris, who desired a second career, and Kacian, who was looking for a setting in which he could better flex his design muscles, came together in a venture they called 42 design fab, with 42 being “the answer to the ultimate question of life, the universe, and everything” in Douglas Adams’ The Hitchhiker’s Guide to the Galaxy. Since the start, their hope has been to make their company the ultimate answer for a wide array of museums and companies who need something visual — and educational — to inform people and promote themselves. More than two years later, a team is in place, and a game plan is coming together. It calls for the company to exploit its uniqueness as a firm that handles both design and fabrication (most do one or the other), and create the portfolio diversity that is necessary to maintain steady cash flow and survive fluctuations in the economy. A look at one wall in the office area of the company’s facilities at the mill reveals that it is making solid progress with those goals. On it are images from various projects, both completed and in progress. That latter list includes some recent initiatives undertaken for the Basketball Hall of Fame, including new exhibits to tests visitors’ rebounding skills and gauge their wingspan — the distance between the fingertips when one’s arms are spread apart. Over the past few years, the company has undertaken a number of projects for the Hall of Fame, including the Cousy exhibit, the display dedicated to Dennis Rodman after his enshrinement in 2011 — one that showcases one of the many dresses he’s worn over the years — and a large display called the “MAAC Experience,” which tells the story of the Metro Atlantic Athletic Conference. There’s also work for former Boston Celtic Ray Allen’s Rays of Hope Foundation — specifically, his ‘Wall of Hope,’ a display of his sneakers meant to inspire young people to realize their full potential — as well as contributions to a Department of Homeland Security campaign. A few photographs capture projects undertaken for various natural-history museums, such as a diorama chronicling the life of an acorn. Meanwhile, there are drawings for a new trade-show booth for the Harold Grinspoon Foundation. Overall, projects have been undertaken for a host of museums and institutions, ranging from the Puget Sound Naval Museum — one of the company’s first clients — to to the Quadrangle in Springfield. The Basketball Hall of Fame and the Environmental Learning Centers of Connecticut (ELCCT) are both good examples of the type of client the company wants to attract and add to its portfolio, said Harris, noting that, in each case, there is an ongoing relationship and opportunities to handle a wide range of work. The ELCTT operates two facilities — the Barnes Nature Center and the Indian Rock Nature Preserve, both located in Bristol. For the former, 42 design fab has created designs for many potential new exhibits — with names like “Interactive Wetland Diorama,” “Everything About Beaks and Feet,” “Nest and Egg Educational Module,” and the aforementioned walk-in tree — and has already completed several interior and exterior projects, including the signage and new gift shop. And for the Indian Rock facility, it has a created, among other items, a waterfall that essentially camouflages an elevator shaft. Built in three sections, the waterfall reaches the top of the 18-foot ceiling in the center’s Great Hall and comes complete with fish, turtles, and seats for visitors. The projects undertaken for both the hall of fame and the ELCTT are also good examples of how 42 design fab works with the client to help it achieve specific and long-term goals, said Harris, returning to the Barnes Center once again, and the desire among administrators there to create learning opportunities on a number of levels. “They balance funding availability with educational objectives,” he said, adding that the company works in partnership with the center to maximize its resources and create a number of different learning experiences. As an example, he cited a planned magnetic wall within the center that would have several teaching curricula on it. Looking forward, the two partners say their primary objectives are to build their portfolio through strong word-of-mouth referrals while also diversifying, in terms of both the type of project and the size. And they see some potential opportunities on the horizon for accomplishing both. 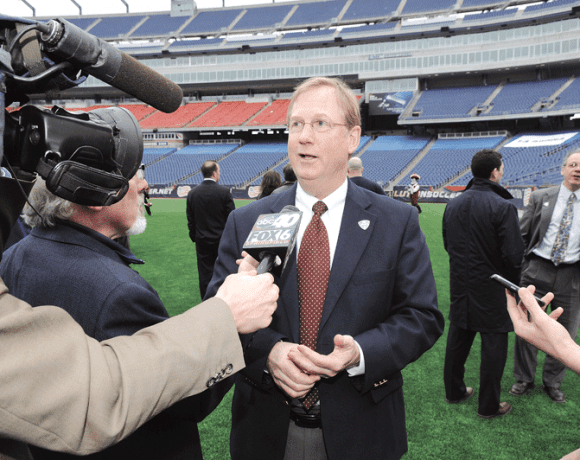 One is the casino industry, which will, in all likelihood, be coming to the Bay State and, more specifically, Western Mass., within the next few years. Harris said casino builders are known for incorporating elaborate designs into everything from their main entrances to their themed restaurants, which could add up to opportunities for the company. Another potential source of new business is a different kind of gaming industry — the video-game sector, which is also known for creating imaginative workspaces. “We’d like to see some of those kinds of projects through,” he said, “where you have a successful, fast-paced, super-creative startup that wants a custom space. One of the company’s broad goals is to optimize its design-fabrication workflow through digital fabrication, said Harris, thus quickening the pace of taking something from the drawing board to the museum floor or trade show floor, bringing benefits for both the company and its clients. “The faster we can go from a digital model in the computer to the CNC routers and efficiently fabricate the core of the components, the better it will be for us,” he explained. “We need to get better at that game because that lets us free up the high-value artistic labor to do the final touches. Another broad goal is to create steady revenue streams — perhaps year-round or at least steady production of various lines of furniture — to smooth out some of the ebbs and flows that are part and parcel to the kind of project work the company handles. When asked to describe their transition to business owners, both Harris and Kacian used the phrase ‘learning experience’ to describe their first few years. There’s irony there, because that’s exactly what the company also creates, whether it be for Hall of Fame visitors looking to measure how high they can jump, or grade school students paying a visit to something approximating the forest floor at the Barnes Center. It all comes back to that number that’s now on the company’s letterhead, said Harris, referring again to a host of literary and cultural references.